Newell Sanders and Corinne Dodds met at Indiana State University, where they were members of the school's first coeducational class. The couple graduated in 1873 and soon became husband and wife. The Newells were farmers and came to Indiana via North Carolina, Tennessee, Kentucky and Iowa. Corinne's family also had Tennessee roots, and she was a direct descendant of the Davy Crocketts. Newell began his career managing an Indiana book-store and soon bought the business. Corinne cared for the couple's growing family, which included six children. On the advice of fellow Indianan, Gen. John Wilder, and with $3,000 supplied by Newell's stepfather, the Sanderses sold the bookstore and moved to Chattanooga. Newell founded the Chattanooga Plow Co., which made chilled steel plows. Although the family arrived during the 1878 yellow fever epidemic, which cost the lives of three of the original five employees, the plow company was successful. In 1901, Newell sold the enterprise to International Harvester for $1 million. He later founded the Newell Sanders Plow Co. and operated it until his retirement in 1927. He was honored by national mechanical engineering organizations for his innovative designs. In 1901, Newell organized and served as director of the Chattanooga Steamboat Co., which operated boats on the Tennessee River floating to and from St. Louis. He also served as a director of the Hamilton National Bank and the Nashville, Chattanooga and St. Louis Railroad. Having followed the Lincoln-Douglas debates as an 11-year-old, Newell had an early interest in politics. A Republican, he began his political career as a Chattanooga alderman and member of the school board. He rose rapidly in the party and by 1894 was chairman of the Tennessee Republican Party, a post he held off and on until 1912. 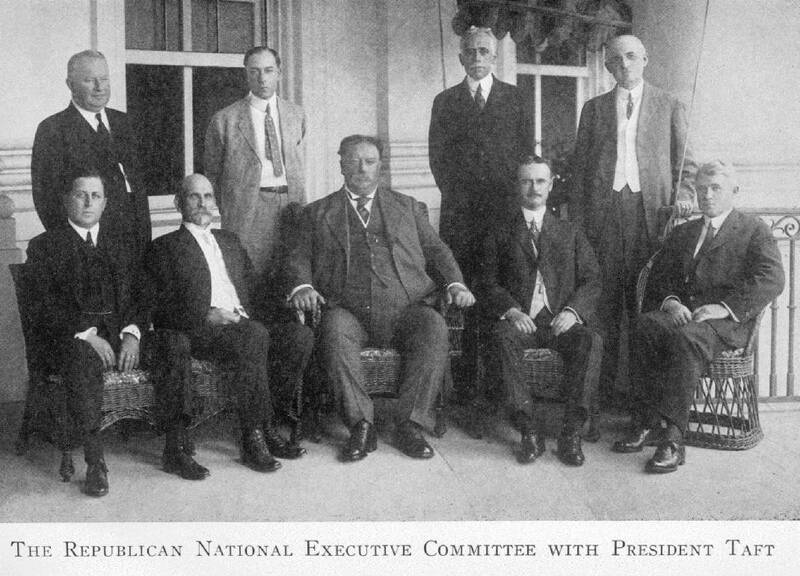 He was a delegate to seven Republican National Conventions beginning in 1900, served on the Republican National Committee and was friends with Presidents William McKinley, Theodore Roosevelt and William Howard Taft. Corrine Sanders, meanwhile, was active in community affairs. She was the founder and president of the Chattanooga Free Kindergarten Association, which established free public kindergartens. The couple built a home, "Sanders Outlook," on Lookout Mountain. Corrine founded the Lookout Mountain Garden Club and was active in the Chattanooga Women's Club, the Lookout Mountain Beautification Club and the Daughters of the American Revolution. Corrine headed the Lookout Mountain Red Cross during World War I.
Lifelong Baptists, the Sanderses were active in Chattanooga's First Baptist Church. Also interested in politics, Corrine joined her husband as an early advocate for prohibition and women's suffrage (Tennessee passed prohibition in 1909). Appointed in 1912 to fill the U.S. Senate seat vacated by the death of Sen. Robert Taylor, Newell served 10 months in office. Corrine maintained a desk in his Senate office and was a national leader in the League of Women Voters. The couple was instrumental in persuading Town of Lookout Mountain officials to include women's suffrage in their incorporation papers. Corrine was the first woman in the South to vote as a result of casting a ballot in the 1917 Lookout Mountain municipal election. In 1920, the Nineteenth Amendment came before the Tennessee Legislature. Thirty-five states previously had ratified the amendment. An affirmative vote by the Tennessee Legislature meant final ratification, which would make the amendment law. The vote was close. Legislator T.A. Dodson, an amendment supporter, prepared to leave Nashville early and return home to see his dying child. Newell persuaded Dodson to stay and cast his vote, promising a special chartered train to take him home. Dodson agreed, and Sanders chartered the train. As the final vote neared, the result hung also on the vote of Rep. Harry Burn of Athens. Newell Sanders persuaded Burn to vote affirmatively and the amendment passed. Burn claimed he voted for the amendment because his mother urged him to do so and because of the "respect and esteem" he held for Newell. In 1927, Newell Sanders retired from business, commenting in a Free Press interview, "I think I am right in saying that everyone who was ever in a business enterprise with me made money by it." The couple remained active in civic and religious matters. They also enjoyed traveling and attended various international expositions. Corrine died on June 29, 1929, shortly after celebrating the couple's 50th wedding anniversary. Newell died Jan. 26, 1939. Gay Moore, a former faculty member at Chattanooga State Community College, is the author of "Chattanooga's Forest Hills Cemetery" and "Chattanooga's St. Elmo." For more information, visit Chattahistoricalassoc.org.